Elizabeth Swain is an English born actor, director and teacher who has lived in Los Angeles since 2007, where she is a member of the Antaeus Company. She made her Broadway debut in Charley’s Aunt, opposite Louis Nye and Maureen O’Sullivan. Other Broadway credits include Crown Matrimonial with Eileen Herlie and George Grizzard, Sherlock Holmes with Robert Stephens and a featured role in the NYC Opera’s production of The Crucible, directed by Frank Corsaro. Other acting work includes regional theatres, national tours and plays off and off off Broadway. In Los Angeles she has played the Third Witch in Antaeus‘ Macbeth, Chorus in Oedipus the Man at the Getty Villa, the Ghost in the LA Women’s Shakespeare Company’s Hamlet , the Pope in Top Girls, and in The Clean House for Cal Rep and has appeared in several Antaeus Classicfest readings. On television she was on One Life to Live, As the World Turns and played Emily for five years on The Guiding Light. She has an active voice over career, including recorded books. 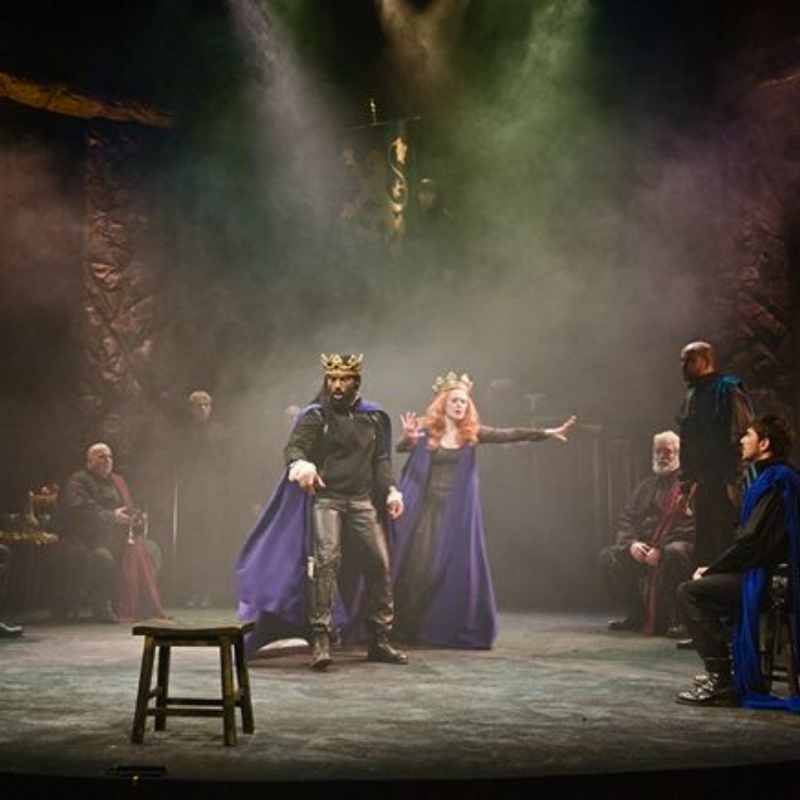 Elizabeth has led text discussions at Antaeus on Richard II, The Tempest, The Winter’s Tale, and King John, and was awarded an NEH fellowship to study Shakespeare’s staging at the Blackfriars in Virginia and Shakespeare’s Globe in London. She has taught for the Teachers’ Workshops at the Huntington Library, at A Noise Within and is a regular faculty member with the Antaeus Academy. In NY she taught at the Michael Howard and T Schreiber studios and at NYU, CCNY, Hunter College, Barnard College and is currently Professor Emeritus at Marymount Manhattan College where she taught until her relocation to Los Angeles. My directorial focus is mainly on the classical rep: Shakespeare, Jacobean and Restoration; also modern playwrights who use heightened language: Pam Gems, Timberlake Wertenbaker, Tom Stoppard, Athol Fugard et al. I have directed first productions of plays by Wendy Kesselman and Robert Ackerman, a never-before produced adaptation of a Noel Coward novel and a brand new Agatha Christie adaptation. I teach classes ranging from the contemporary rep to the Greeks. My main focus is on Shakespeare as I believe that an actor can attack any text after mastering the gifts of Shakespeare’s language. I also teach classes on Ibsen and Chekhov, Shaw, Wilde and Coward, Theatre of the Absurd, and The Restoration and Eighteenth Century. I regularly coach actors working on such texts. I have appeared on Broadway, Off and Off Off Broadway, in regional theatres and and many tours, working with such as Robert Stephens, Tammy Grimes, Brian Bedford, Louis Jourdain, George Grizzard, David McAllum. Television shows include many daytime soaps, including Dark Shadows, Guiding Light, and As the World Turns. I have recorded over 40 books and innumerable voice overs. A recent transplant to Los Angeles, I have appeared with the LA Women’s Shakespeare Company and the Antaeus Company, of which I am a company member.